*Helps kill the stangeles bug! *Safe for all horses of all ages. Will work great as a preventive if given 2 yearly for 3 days. 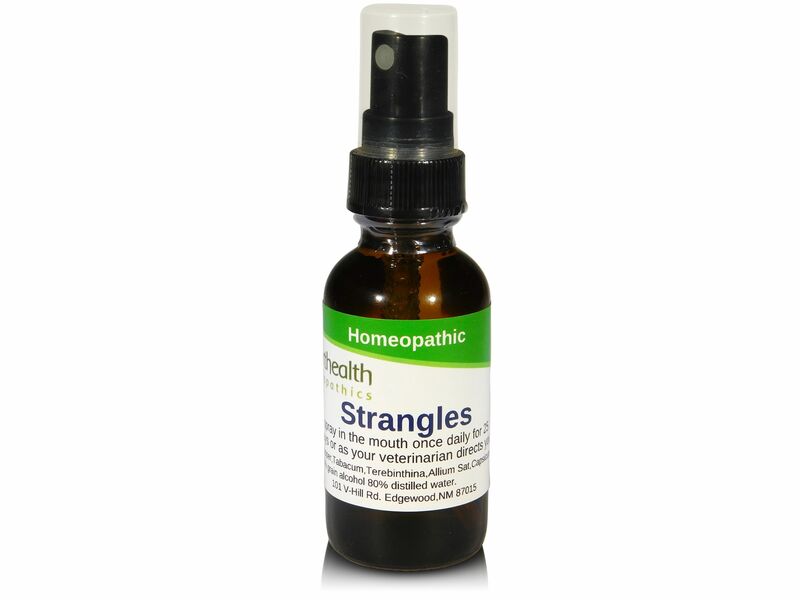 To kill strangles give 4-5 sprays in the mouth once daily for 25 days. You should start to notice change in 8-10 days. Directions:give 4-5 sprays into the mouth once daily for 25 days , or as your veterinarian directs you. Active ingredients:Copper,Tabacum,Terebinthina,Allium Sat,Capsicum. Inactive ingredients: 80% distilled water 20% grain alcohol.